Have an Electrical Emergency in Athens GA? Malfunctions, accidents, and disasters can cause loss of electrical power to part or all of your Athens home or business. When you need immediate electrical service in Athens GA, call Meehan Electrical Services at (706) 717-4947. Emergency service needs to be prompt, with immediate communication and rapid action. Meehan Electrical Services provides emergency electrical service in Athens, putting projects in priority sequence and responding immediately to all Athens electrical emergencies. Athens businesses can reduce production losses with the help of Meehan Electrical Services, and Athens residents can return their home to its normal level of comfort and safety. Established in the Athens area back in 1960, Meehan Electrical Services electricians are licensed, fully trained in the latest safety, up to date on Georgia and Athens electrical codes, and ready and willing to provide immediate emergency service on electrical systems in Athens. Trust Meehan Electrical Services electricians to assess and repair electrical faults, fuses and breakers problems, and troubleshoot various other electrical problems. When it comes to immediate emergency electrical service in Athens, GA, Meehan Electrical Services provides a satisfaction guarantee that is second to none. Other local electricians may be thorough, but only Meehan Electrical Services has both the availability and knowledge required to fix your electrical problems fast, serving Athens customers since 1960. 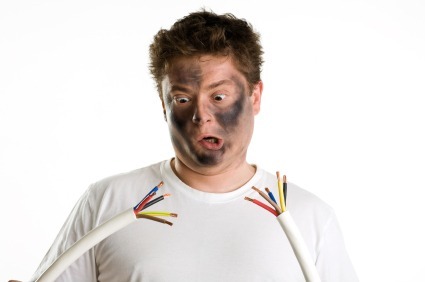 You can expect attentive, polite service for the duration of the Athens emergency electrical repair. Meehan Electrical Services guarantees you’ll be happy with the service. Call Meehan Electrical Services when your Athens electrical system needs emergency service. Our immediate, professional response by Athens electricians is backed by our satisfaction guarantee for complete peace of mind. Call Meehan Electrical Services at (706) 717-4947 now for immediate electrical service.